Inferno wins an entry in Campaign’s School Reports for the first time this year due to its growth and impressive new-business record over 2012. The agency, which counts Nokia, Sky and Electrolux as its top three spending clients, won 11 new pieces of business in 2012, taking its total number of accounts to 19. Inferno was run on a day-to-day basis by the face of the agency and managing director, Andy Cairns, who left at the beginning of 2013, but its founders Tim Doust, Frazer Gibney and Drew Saunders remain very much involved. The beginning of 2012 saw Inferno land the £10 million Legal & General ad account. New business continued to arrive at the agency in the shape of the £5 million NPSCC fundraising ad account. However, the biggest win for Inferno last year was Sky, which immediately became one of its biggest accounts after the agency won a place on the media company’s consolidated direct marketing roster. A major factor in Inferno’s client and headcount growth was its appointment of 16 staff from Farm Communications, which was closed by its owner Cello in February 2012. Those joining Inferno included the Farm founders and executive creative directors, Gary Robinson and Owen Lee, who brought clients including Purina, Merlin Entertainments and Nestlé. Then, in August, Inferno acquired a minority stake in the independent agency Quiet Storm, to gain access to its hybrid creative and production offering. Creative work seems strong on the Nokia and NSPCC accounts, but it remains to be seen if Inferno’s chief creative officer, Al Young, and his enlarged team can up their game on other business. Inferno is on an upward trajectory but needs to produce more good and memorable creative work if it’s to keep those new clients happy. "In 2012 Inferno cemented its places as a premier league creative agency. Consistent pitch wins added the much sought after NSPCC and Sky accounts, as well as a global beer launch for SABMiller. 11 pitch wins in all, with no account losses. 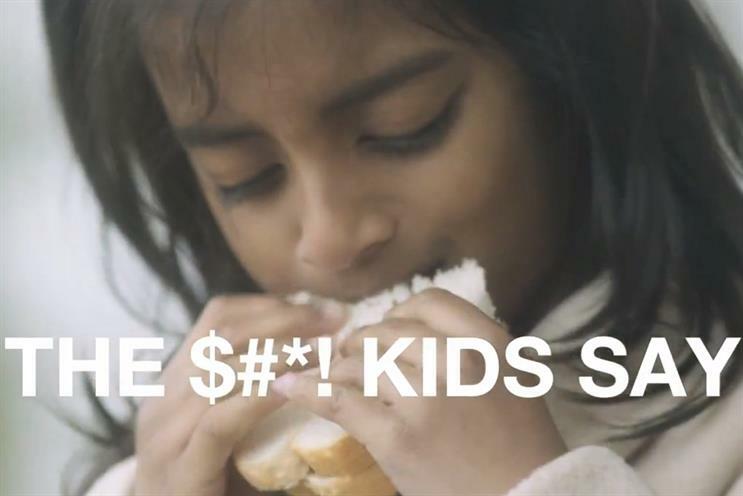 The "Sh*t kids say" film for the NSPCC was the hightlight creatively while Inferno’s takeover of Farm brought new clients and additional creative firepower Inferno also took a minority stake in Queit Storm."